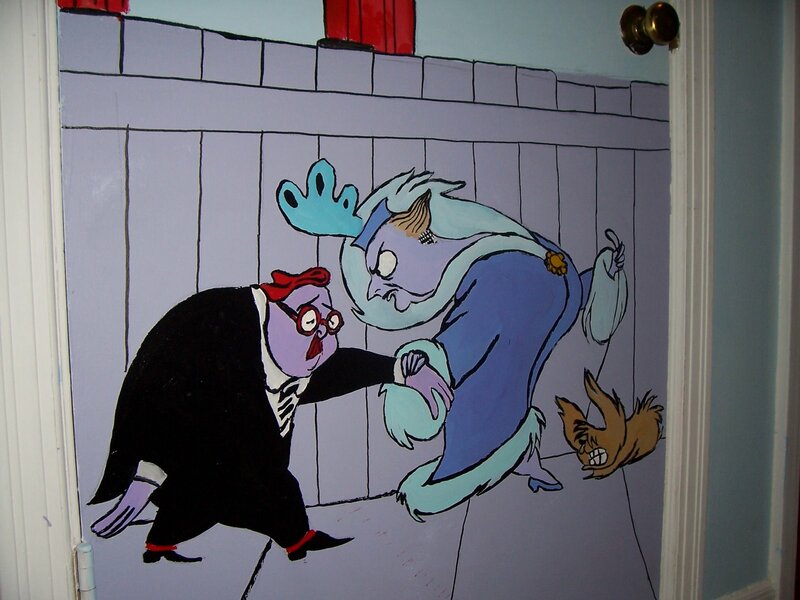 Fantasia 2000 | Cappa Toons! 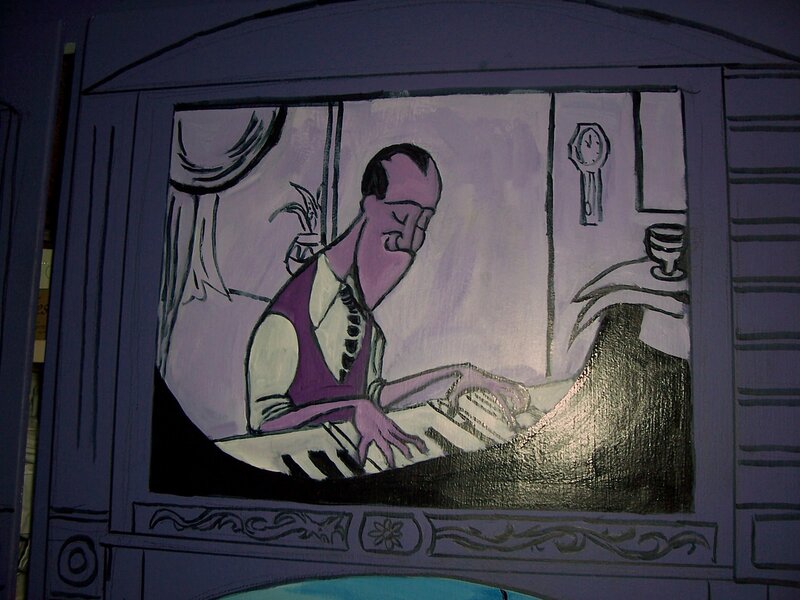 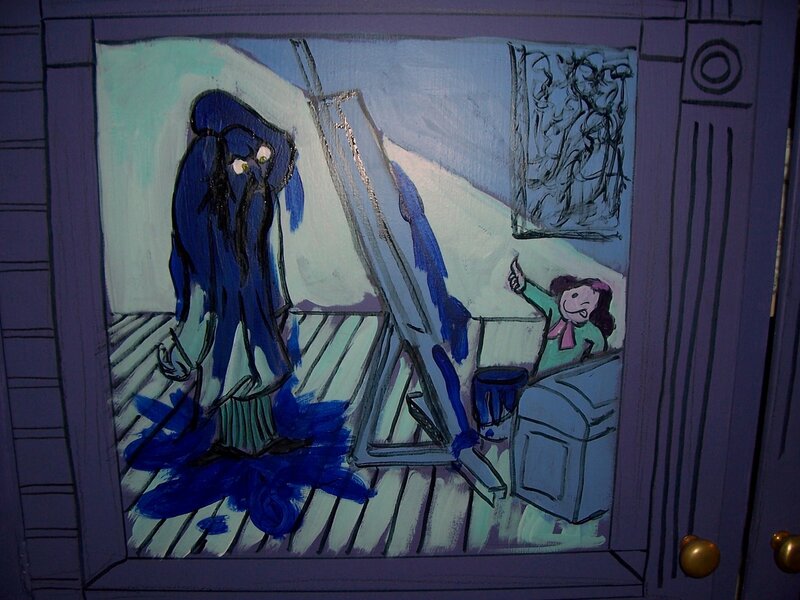 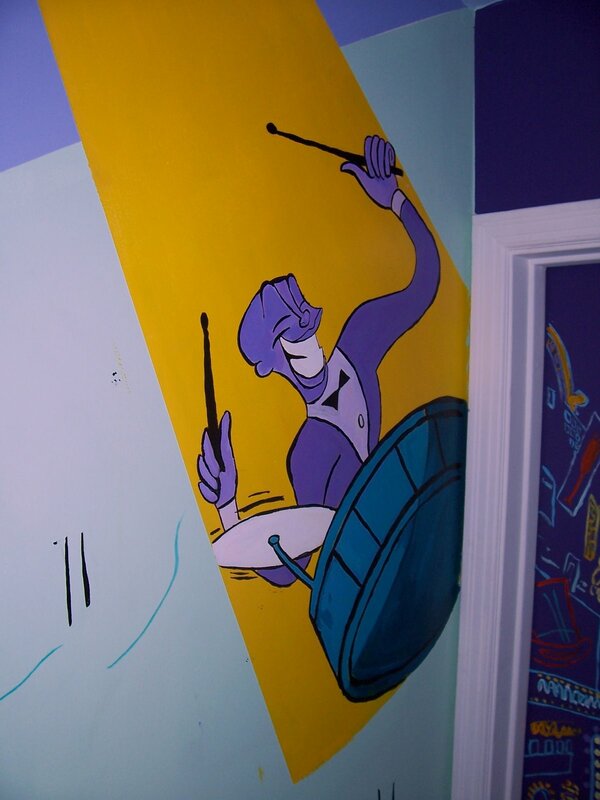 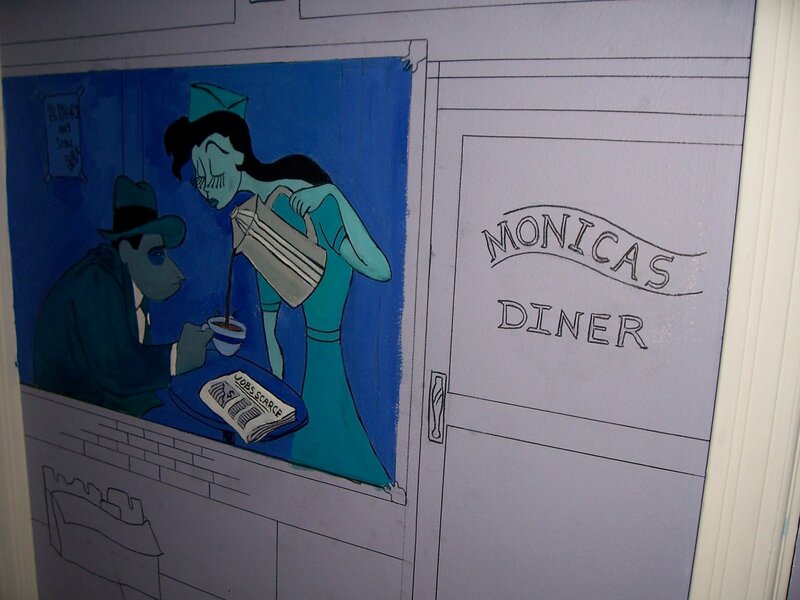 This is the second cartoon mural I’ve done, and it’s based on the great Fantasia 2000 segment “Rhapsody in Blue”. 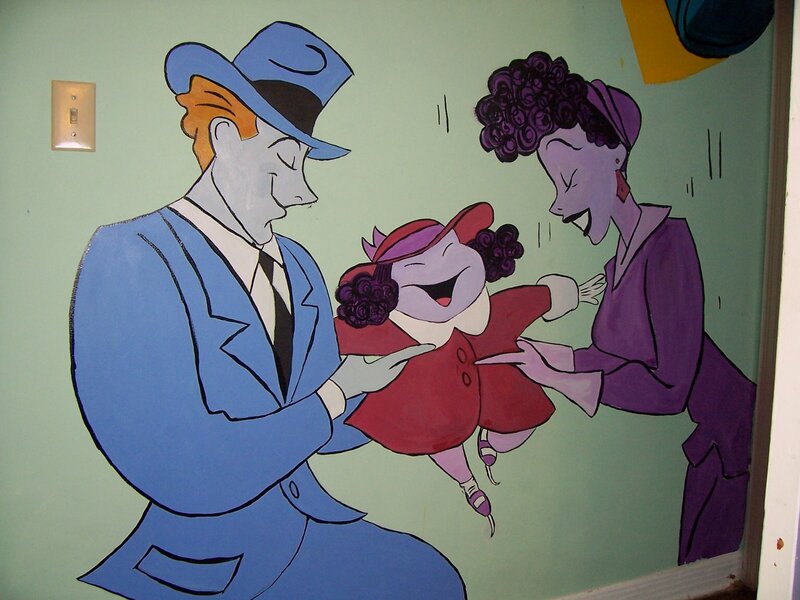 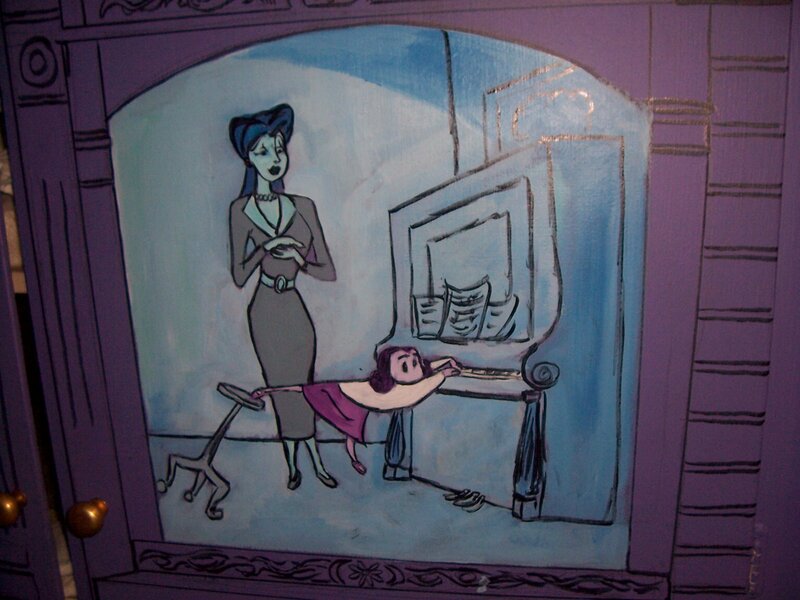 This mural was painted in the hallway of my parents home in Van Nuys. 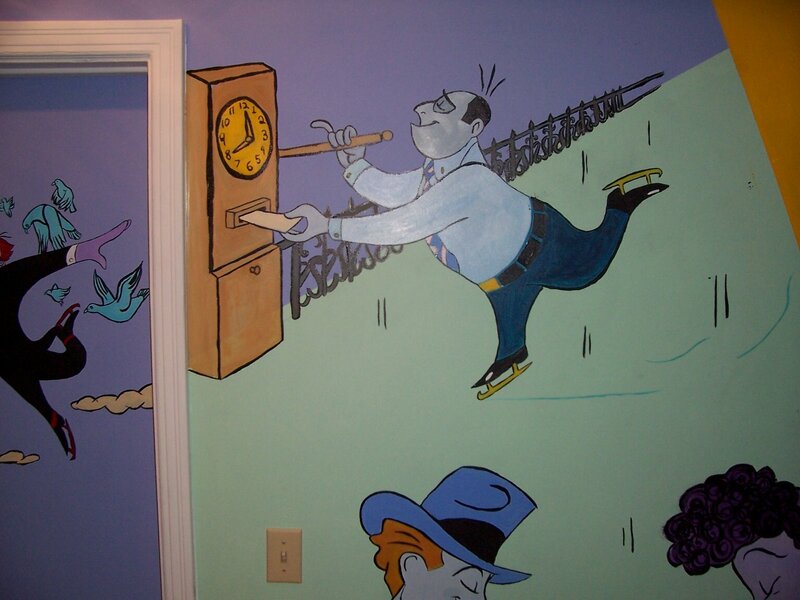 The characters on the left side of the wall portray the characters in the Rockefeller Center ice skating section of the film. 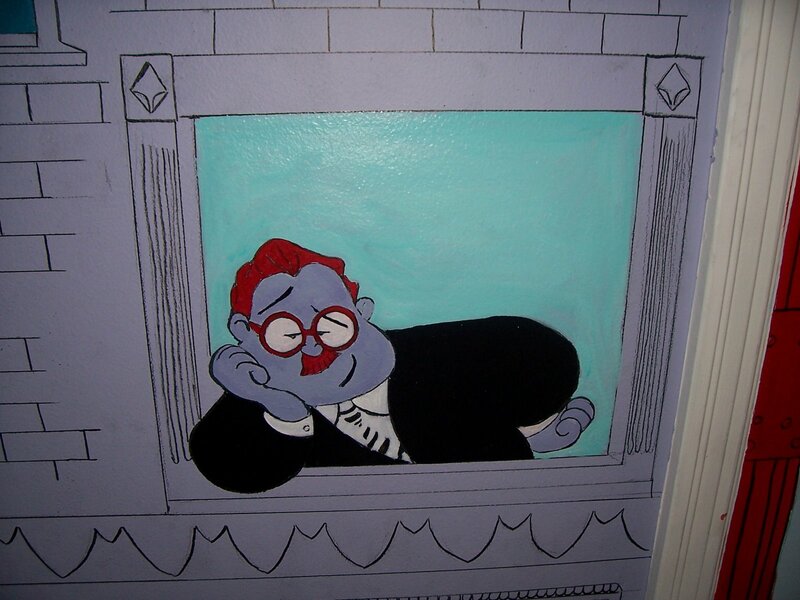 Below: The guest bedroom door. 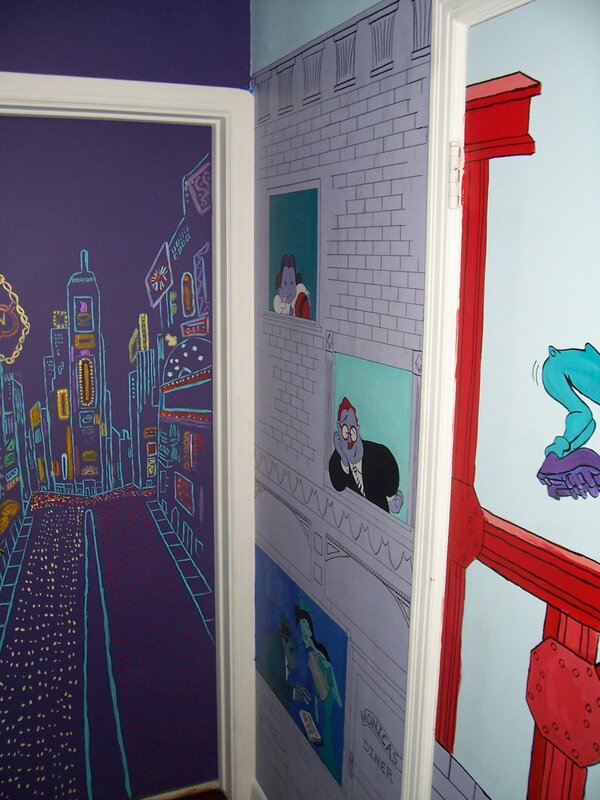 This is the opposite corridor to my room. 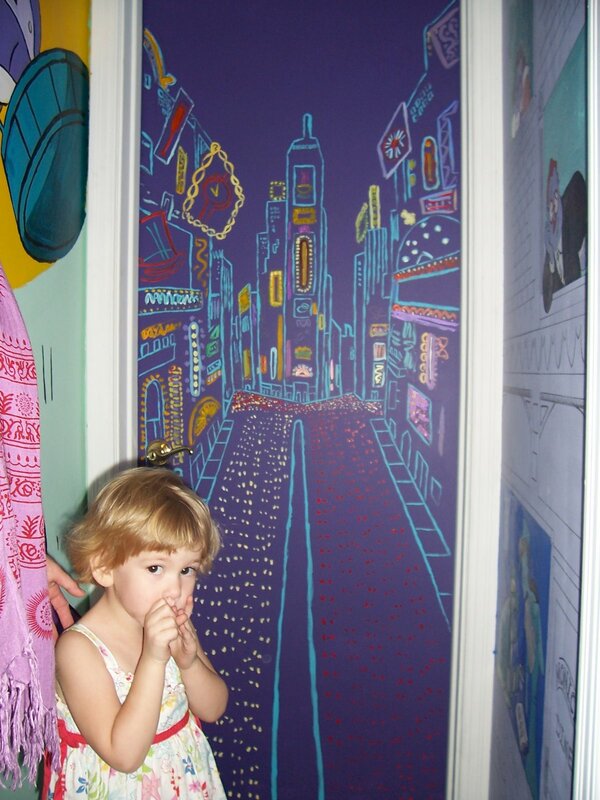 The opening city shot is on my door, and this is basically the Rachel corridor, showing the montage of her life. 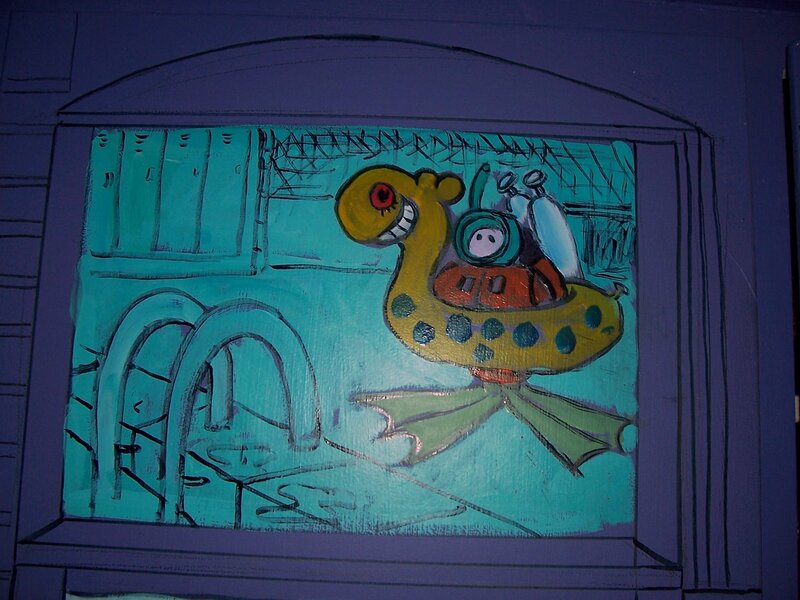 ….Flying John…on the bathroom door, respectively.